As opening salvos go, it was a strange one – especially coming from the mind of George Loewenstein, professor of economics and psychology at Carnegie Mellon University. 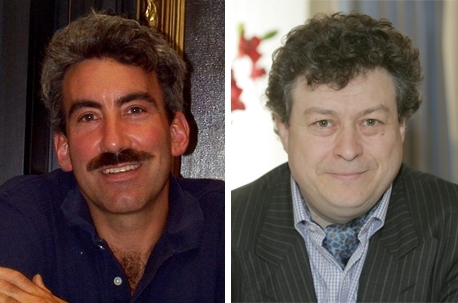 Members of the London Behavioural Economics Network had been promised an in-depth conversation about behavioural economics between Loewenstein – one of the leading lights of the field – and Rory Sutherland, ad man and vice-chairman of Ogilvy UK, who is a staunch proponent for the commercial applications of the discipline. But to what extent do people individually decide whether something is good – be it a product, service or standard of living? For Sutherland, “I think our vision of what is good is massively driven by our assumptions of what other people think.” Again, Loewenstein agreed, pointing to a paper he recently co-authored on the subject of mattering maps. He explained: “When you’re in a particular situation, let’s say a social group, there’s typically something that matters more than anything else. Among academics it might be publications. If you are a musician it might be how well you play a piece. But one of the interesting features of mattering maps is they can change abruptly as a result of whatever social milieu you’re in. Advertisers, of course, have a role to play in setting social norms, and Loewenstein was particularly interested to find out from Sutherland the extent to which behavioural economics had pervaded the advertising and marketing industry. Instead, it was the psychologists Amos Tversky and Daniel Kahneman who laid the foundations for the field of behavioural economics – not the Mad Men of Madison Avenue. However, Sutherland wanted to know whether Loewenstein accepted the claims made by some psychologists that the term ‘behavioural economics’ steals credit for economics that is actually owed to psychology? Yes, said Loewenstein. “There are a lot of psychologists who are annoyed at economics, and are annoyed at behavioural economics specifically. A lot of the work on changing health behaviours, for instance, was first done by psychologists, didn’t get a huge amount of attention, and then behavioural economists started doing it, and they have gotten a tremendous amount of attention since then.